Walmart doesn’t seem to know what they’re selling these days. 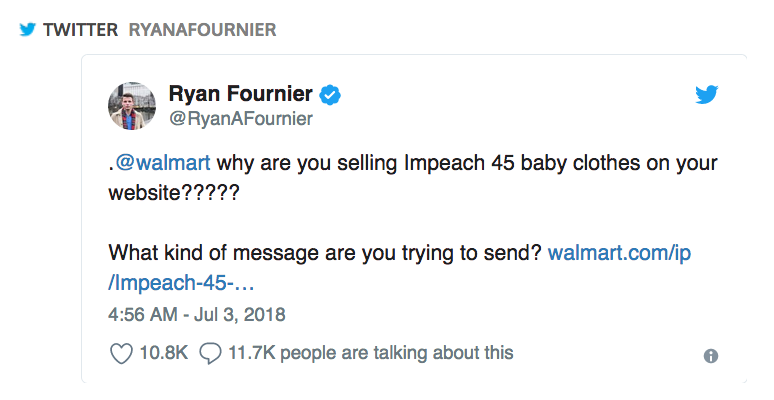 When it was learned that Walmart was selling “Impeach 45” clothing, the company refused to issue a statement about the situation. 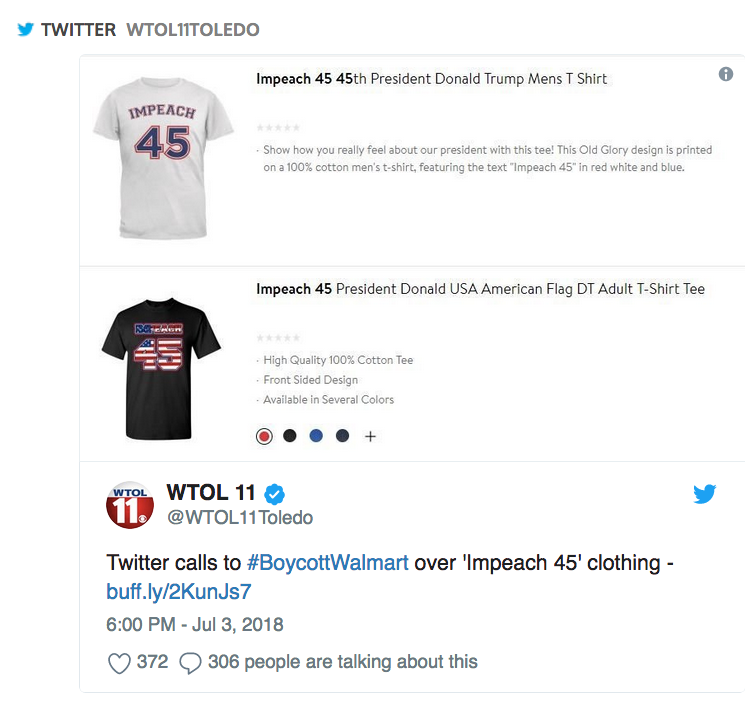 “These items were sold by third-party sellers on our open marketplace and were not offered directly by Walmart. 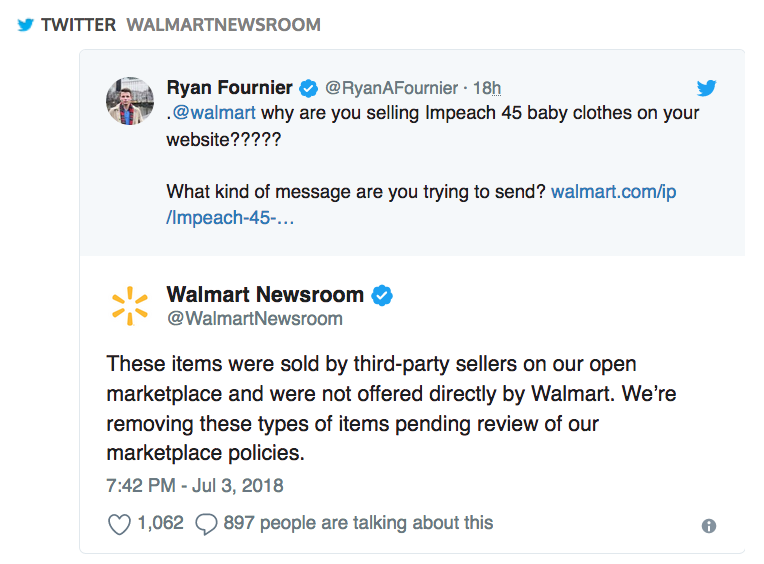 We’re removing these types of items pending review of our marketplace policies,” Walmart tweeted out. Amazon.com’s website doesn’t seem to be concern about selling such clothing at this time.